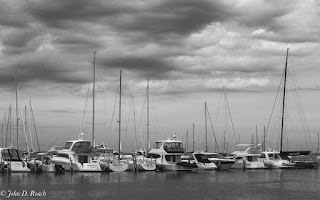 Today, I will offer you a little information that I have learned in my new adventure with IR Photography. 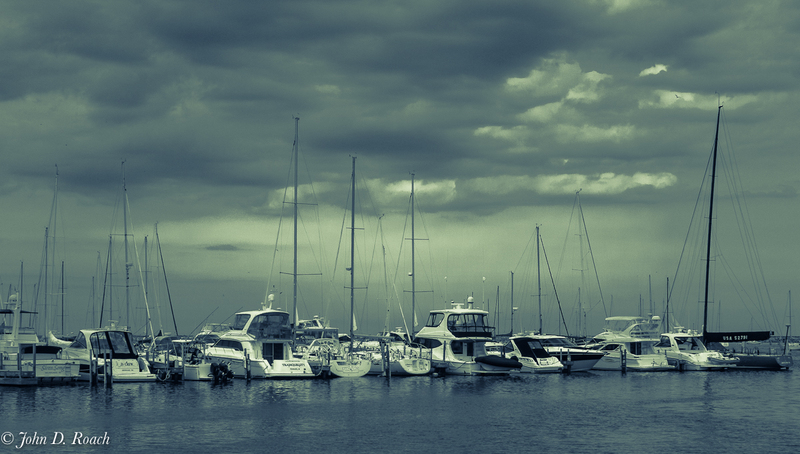 First, what is IR Photography? It is for the most part light we can not see. There is however some portion of the light spectrum which we can call "near IR" which is slightly visible to the naked eye. Infrared is a portion of the electromagnetic spectrum that is just above visible light. The chart that you can see below shows the range of the electromagnetic spectrum. The wave lengths in the electromagnetic spectrum consists of numerous waves that fall in to one of the ranges in the spectrum – radio, microwaves, infrared, visible, ultraviolet or gamma rays waves. The distance between two waves is called the wavelength and is measured in (NM) nanometers (a millionth of a meter). Using light’s wavelength, we can tell what color it is and which range of the electromagnetic spectrum it is in. Humans can only see light with wavelengths of between 400nm and 700nm, as shown on the chart above. This range is called visible light. Humans cannot see any light with wavelengths above or below this range without special equipment. Ultraviolet light has a frequency of 10nm to 400nm, meaning that it is not visible to the human eye. Its wavelength is longer than that of X-Rays, but shorter than visible light. Ultraviolet has a large number of uses at various wavelengths. Bug zappers use UV at 350-370nm because flies are most attracted to ultraviolet light at 365nm, whereas 250-300nm UV is used for forensic analysis and drug detection. Ultraviolet is also heavily used for security purposes such as card readers. Many sensitive documents, such as passports or credit cards, include watermarks or images that can only be seen under UV light. 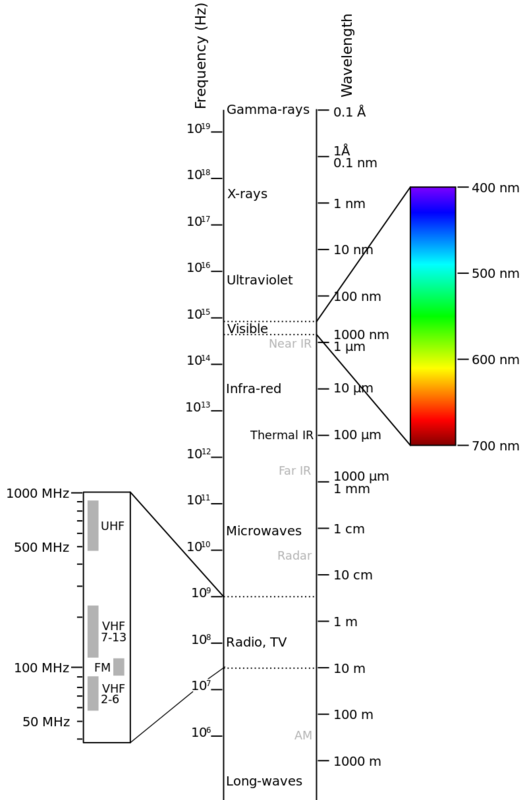 Near infrared light is in the range of 700nm-1400nm on the electromagnetic spectrum and has wavelengths that are longer than those of visible light, meaning that humans can’t see it. 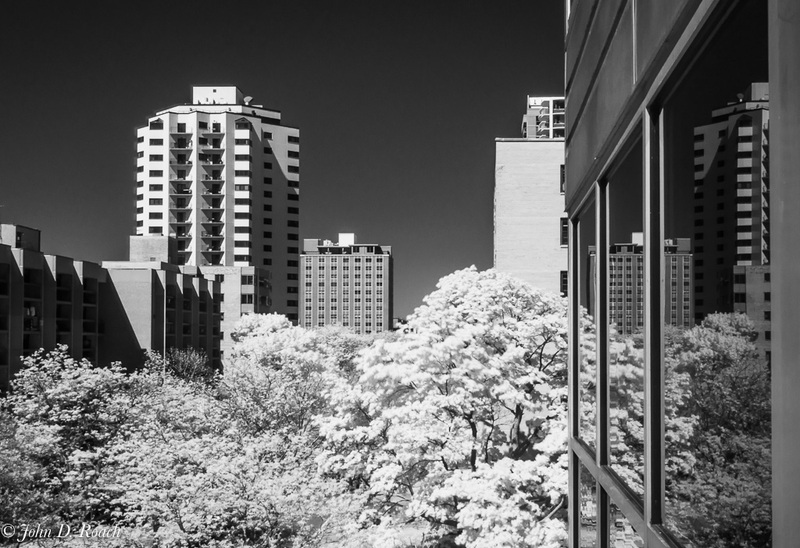 Infrared photography most commonly uses near infrared light. That area of the light spectrum overlaps visible light and infrared light in the 590nm to 920nm range. A common misconception is that near infrared light is used for thermal imaging, but you actually need far infrared light that. Near infrared light, is also used in in medicine for a technique named photo-biomodulation for the treatment of oral ulcers caused by chemotherapy and wound healing. Far infrared light is in the 15μm-1mm region of the electromagnetic spectrum. Unlike near infrared, which can only detect reflected infrared light, far infrared can ‘see’ sources of heat. This makes it useful for thermal imaging. An example use of this would be for fire fighters to seek out bodies in smoky, dark conditions. 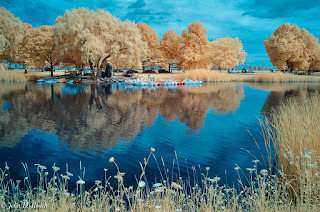 NOTE: Everyday infrared photography does not use far infrared light, as it would be too expensive for most people to afford. However, specialised equipment is available for use by businesses and authorities. 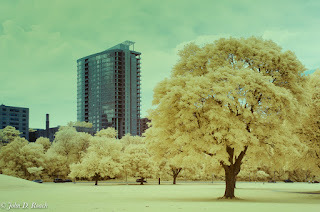 In Infrared Photography we want we want to block visible light and only pass infrared light or some quantity of infrared light in order to remove much of the visible color we normally see when light is reflected on the camera sensor. 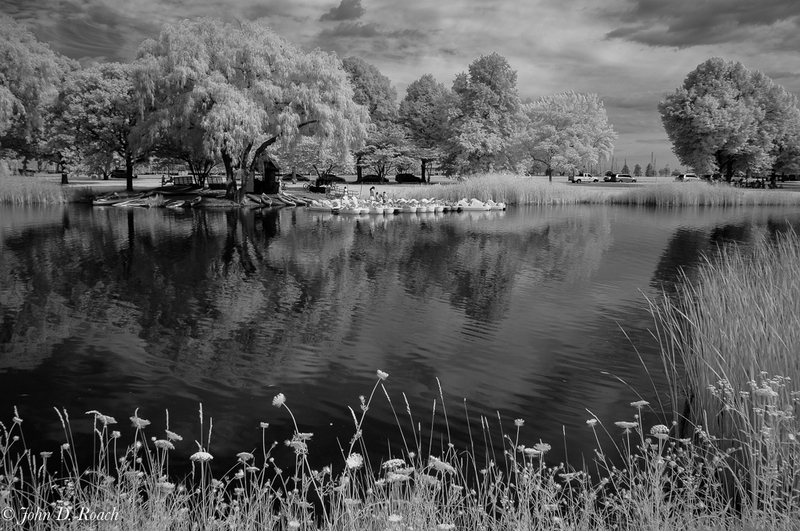 My adventure in IR Photography began by purchasing a standard IR Filter rated at 720nm. This filter was screwed onto the front end of my camera lens. 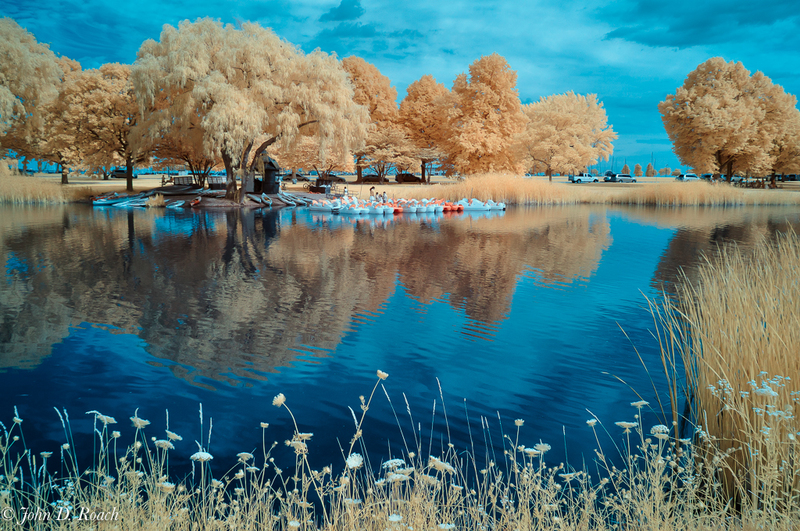 The images were created by first focusing without the 720 IR Filter and then attaching the filter (which blocked almost all light) and without changing any setting, focus, etc. on the camera and lens, hit the shutter release to capture an image which the Digital camera saw as primarily RED. I then had to download that strange looking image and adjust it using software to change the RGB (Red, Green and Blue) relationships so that I could create an artistic image that could show unique color or be converted to Black & White for an artistic Monochrome look. Subsequently, I purchased a filter rated at 590nm which blocked less IR light and experimented the same way. 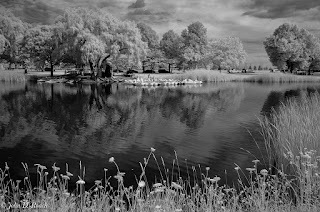 It was only then that I decided it was worth getting one of my cameras converted to IR. 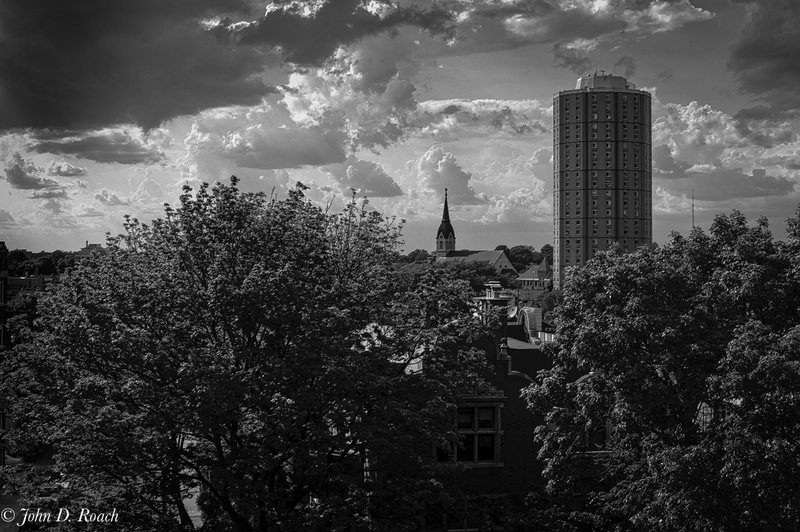 In that way, I didn't have to mess with putting a filter on the lens because the filter would be after the lens directly on top of the camera light sensor. In this way, I can see the scene I want to photography and then the image is created with the same results of color removal that I would get with the IR filter attached to the lens. 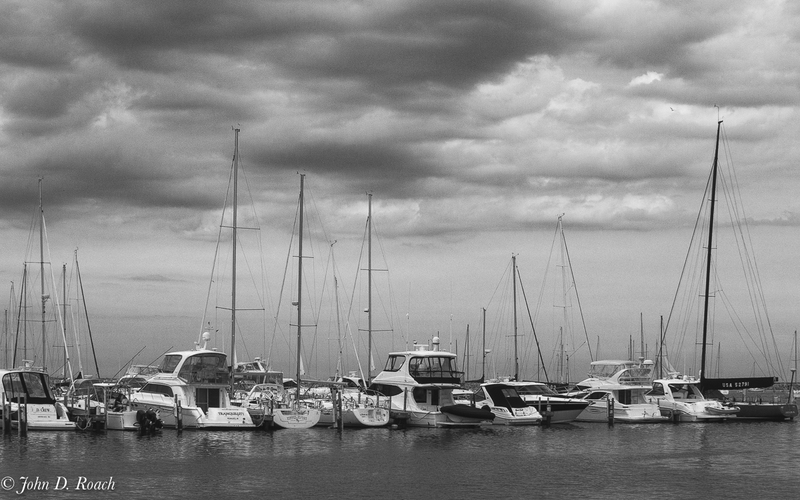 some examples of images I have created with lens filters as well as the newly converted camera. I see lots of possibilities with this art form. One very special feature is that I can shoot in any type of light, even harsh mid-day light, and create fine artistic images. More will following in another blog in the near future.